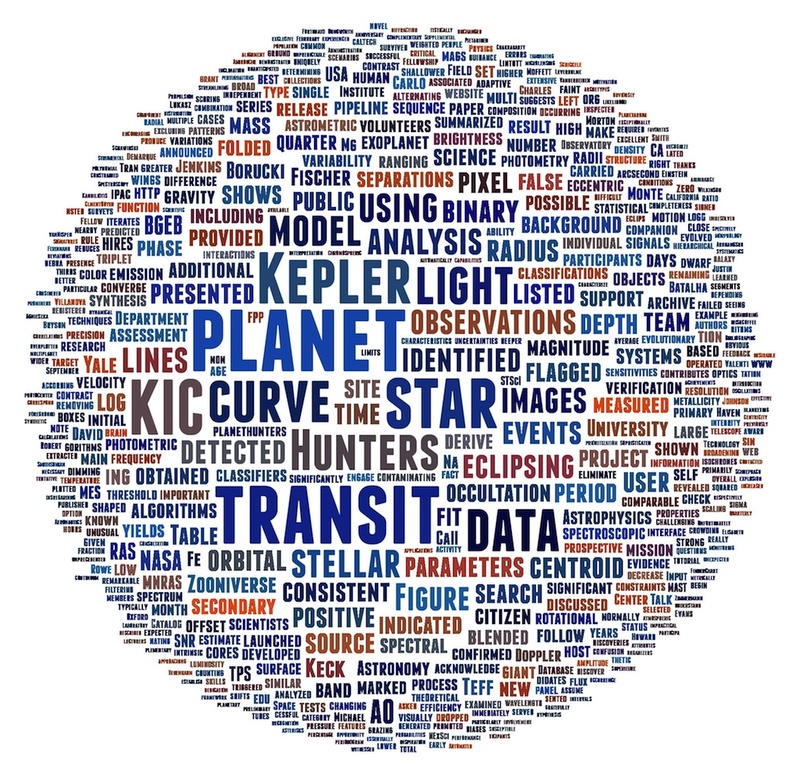 This world cloud shows the first Planet Hunters paper – outlining the discovery of two planet candidates – as a ball of words. You might call it a Word Planet, in fact. The words used most often in the paper are the largest, such as transit (81 times), planet (71) and Kepler (51), whereas less-used words shrink away to the edges, such as SNR (5), technology (2) and faint (3). This was created for the 2011 Zooniverse Advent Calendar. Download the full-resolution version here.